The Affordable Care Act has transformed the healthcare landscape, and the work continues. 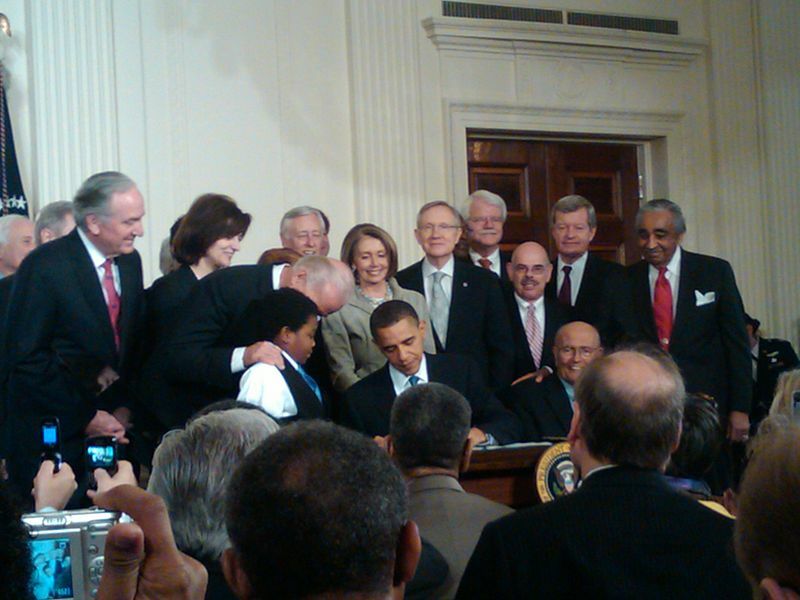 Six years ago, on March 23, 2010, President Obama signed the Affordable Care Act (ACA) into law. Even as he celebrated the historic achievement in healthcare reform, he admitted there was still work to do — and he was right. 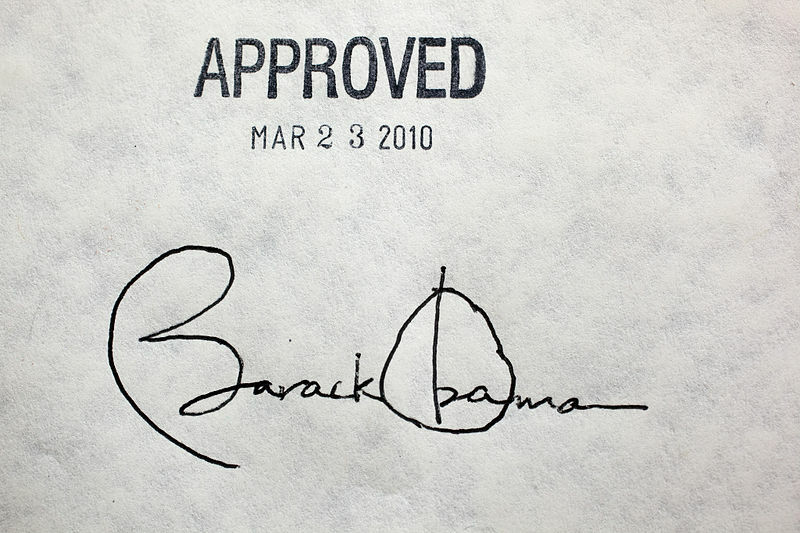 Since that day, President Obama and healthcare advocates have been pushing against the tide of ideological opposition — including so many attempts to repeal the law that I’ve lost track — to continue improving on the gains we’ve made. In fact, there’s yet another challenge to the mandate to include no-cost birth control with every insurance plan being heard by the U.S. Supreme Court on the ACA’s anniversary. Undaunted, this week President Obama will be detailing plans for the “next chapter” of the ACA (also known as Obamacare). These plans focus on putting patients front and center, and continuing to make healthcare more affordable and accessible to every American. It’s absolutely a work in progress. But let’s not overlook the fact that the ACA has already done a powerful amount of good for millions of Americans. On this anniversary of the law’s passage, let’s take a look at some of the lives that have been improved thanks to the ACA. The first Obamacare success story I told was my own. Starting on January 1, 2014, the cost of my insurance dropped from $1,400 a month to $530 a month — for the same exact coverage. Although my premiums have increased since then, I’m still getting far more value than I ever had before. That’s because I can no longer be discriminated against for being a self-employed woman with diabetes. Another of my favorite success stories is Leonard and Dawn Erina. They went from being faced with the prospects of having no insurance — because they couldn’t afford premiums of $1,300 a month — to getting covered for just $227 a month back in 2014. Of course, their premiums (like most everyone’s) have gone up since then, but they were greatly relieved that the U.S. Supreme Court upheld the ACA’s provision that provides tax credits to help people like them pay for their coverage. Then there are the many stories of people who are no longer tied to a dead-end job just to maintain healthcare coverage, like Lisa Kaneff. Because of the ACA, she was able to pursue her dream of starting her own business — and in less than a year, was making so much she no longer needed the help of tax credits. Young people? Yes, they’re getting covered, too — and for a lot less than many of them imagined. When I wrote about Eddie Mulak in 2014, he was still paying down $5,000 in debt he’d incurred because he didn’t have insurance and had to use the hospital ER for routine care. But thanks to Obamacare, he got covered for $20 a month. Like millions of Americans, Jae Stewart could not get the care she needed without insurance — even though she has a serious heart condition. She was literally denied treatment by a hospital, but that will never happen again because of the coverage she was able to get thanks to Obamacare. And then there’s Marion N. Seidel, whose doctors gave her one year to live if she didn’t get treatment for her cancer — treatment she could not afford because she didn’t have insurance. But she was able to find coverage under the ACA, and nearly two years after her dire diagnosis she is cancer-free. Those are just a few of the countless stories of Americans whose lives are better — or were actually saved — because of Obamacare. If that isn’t compelling enough, consider all of the other ways the ACA is making healthcare more affordable and accessible to Americans every day, and improving the quality of care at the same time. No, the work of healthcare reform is not done — and it probably never will be. But the Affordable Care Act was a giant step in the right direction, and laid a strong foundation to build on. So we celebrate all the good Obamacare has done so far. And then we get back to work.